by Nira Chamberlain. Published on 11 October 2018. In 2018, I watched the excellent Marvel film Black Panther, which has taken over a billion dollars at the box office worldwide! The film had a number of themes, including the question ‘what if an African country, named Wakanda, lead the world in technology?’ The film offered a cinematic picture of this, with an important emphasis on STEM subjects. Shuri, the princess of Wakanda, designs new technology for the country. She is ‘an innovative spirit with an innovative mind’ who ‘wants to take Wakanda to a new place’. Shuri is a good role model for young black girls as well as being one of the smartest persons in the world. 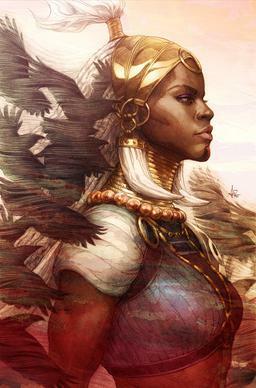 An illustration of Shuri, from the cover of a Black Panther comic. Image: Stanley Lau, fair use. One of the technologies that Shuri designed was Black Panther’s suit. The suit is special because it can distribute the kinetic energy from an impact. The idea is that the kinetic energy will not be focused on one area, but move to another part of the suit where it can be absorbed. Okay, nice Hollywood science fiction stuff… or is it? Watching this scene took me back to my postgraduate days, when I was doing an MSc in Industrial Mathematical Modelling at Loughborough University. 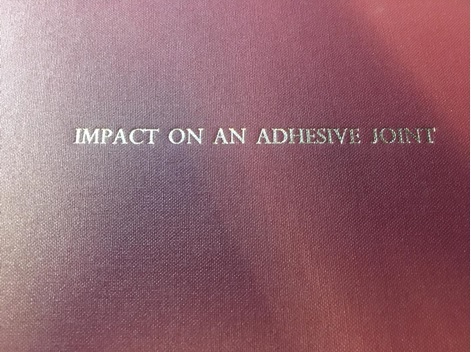 Here, I did a dissertation titled ‘Impact on an adhesive joint’. High impact can fracture a material. Materials under high impact tend to buckle and fracture. The future of Black Panther’s suit is not looking good. Nevertheless, one of the key skills of a mathematical modeller is to listen to the subject-matter experts, and turn their knowledge into a mathematical form. Then, by solving the mathematical form, we will see if we have created a viable solution that can be applied to a real world problem. Materials under strain feel a stress force, which can lead to permanent deformation (plasticity) and even fracture. The exact curve depends on the material, but this general shape is common. The three PhD students argued that under impact conditions, if we could minimise the stress and strain in the material it would remain in its elastic region. 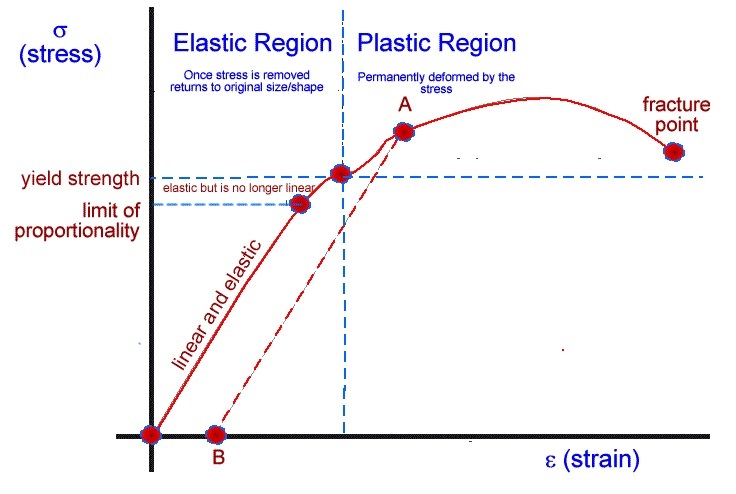 In the elastic region, once the stress has been removed the material will return to its original size and shape and Black Panther’s suit would survive. The material scientists wanted to know if there was a mathematical way to test out their idea; that there is a material design that can deflect an impact. 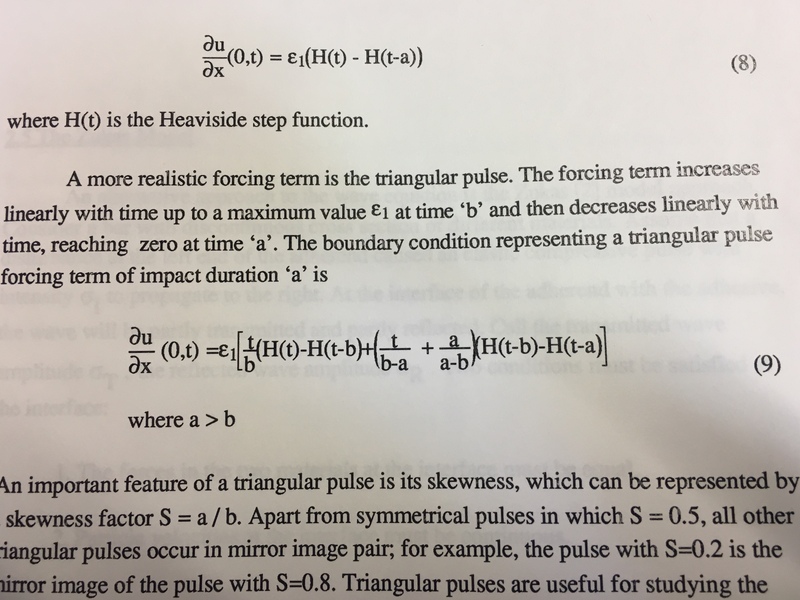 By using the wave equation with an impact forcing term, it was argued that the kinetic energy is distributed away from the impact zone fast enough such that the material remains in the elastic region. If kinetic energy travels fast enough away from the impact sight, the damage to the material can theoretically be limited. The figure below shows the schematic from my original MSc dissertation. An impact force strikes the material, and creates a wave. Some of the wave is transmitted through the interface between the two parts of the material, and some of it is reflected. Part of the wave generated by the impact force is transmitted across the interface, and part of it is reflected. The impact force was represented by a triangular pulse forcing term of duration $a$. That is, the strength of the impact increases up to a maximum value then fades back to zero, with total duration $a$. Now another interesting thing is that, in the film, Black Panther’s suit, which was made up of nanomites, started to disintegrate when it was hit by a sufficient force, like the horn of a rhino or a point-blank grenade launcher. The sharp energy forced the nanomites apart. Okay, not so Hollywood, but in my dissertation research it was identified that the interface is where the composite material was most likely to fail. 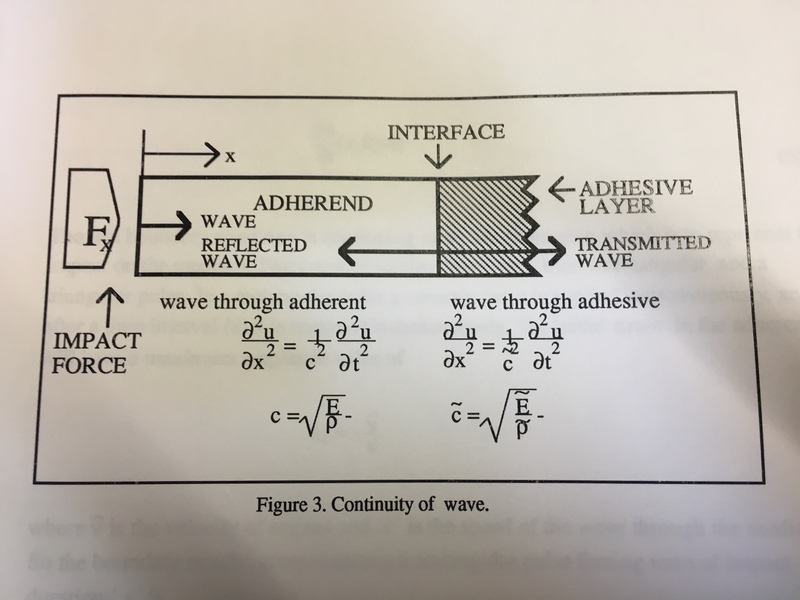 However, if the interface remained in place, the adhesive layer serves to absorb the energy by bouncing the reflected wave between its boundaries. So theoretically, a Black Panther suit might actually work. Well done Shuri! The cover of my dissertation, which started my career as a mathematical modeller! This was one of my first mathematical models, and the dissertation did receive a distinction. At the time I thought the idea of an impact-absorbing composite material was crazy, but after watching Black Panther it motivated me to have another look at my MSc thesis. Though I don’t think I can invent the Black Panther suit, I hope that this film inspires children all over the world to greater and better things in STEM. This post was adapted from an original article on my blog. Dr Nira Chamberlain is the vice president of Institute of Mathematics and its Applications. He is one of the top 100 UK scientists according to the Science Council and is the first black mathematician featured in the Who’s Who since 1849. Nira Chamberlain, one of the UK's top 100 scientists, shares his experiences as a black mathematician. Finding the best picture at the Leaning Tower of Pisa is all about the maths rather than the pose!